What is a Boomerang Buyer? A former homeowner who has gone thru a “short sale”, “foreclosure” or “bankruptcy” in the past few years and has been saving for a down payment in preparation of the expiration of the waiting period, in order to qualify once again for a mortgage. 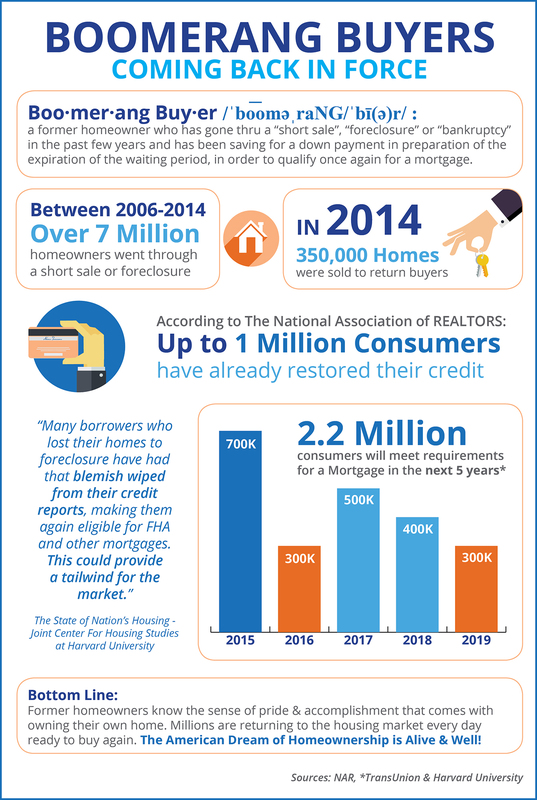 According to NAR: Up to 1 Million consumers have already restored their credit and qualify to buy now. 2.2 million consumers will return to credit worthy status within the next 5 years.